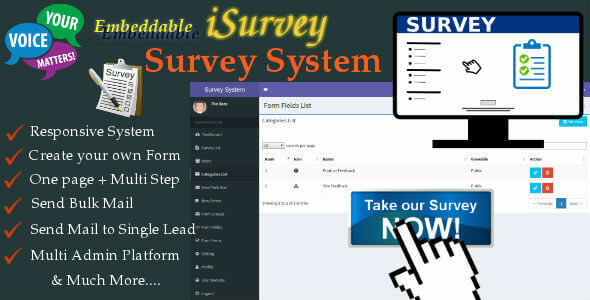 iSurvey is robust survey System which can allow you create survey on fly and send the url to user to fill the form. Create Survey Form on Fly. 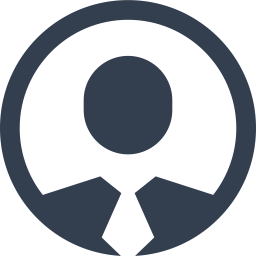 Assign Survey Result to Each Executive or Moderator of your company, if you want them to work on any particular survey result lead. Allo Moderator or Executive send mail to particular survey result subscriber. Send Bulk Mail to all Survey form filler. Keep Creating Unlimited Number of Survey Form. Add your own CSS or JS in each form. Less than 24-hour support reply. If you need any help in understanding script or documentaiton, Support is instant and always free.